A new study just published in European Urology appears to have confirmed a connection between regular, vigorous exercise (in men of 45 to 75 years of age) and a reduced risk for aggressive (i.e., advanced and lethal) forms of prostate cancer. It also offers evidence for a lower risk of a common genetic finding in men with more aggressive disease: TMPRSS2:ERG-positive prostate cancer. Data from this new paper by Penar et al. are available on line in a full-text article that you can read for yourself, but, basically, the authors used data collected during the prospective Health Professionals Follow-up Study between 1986 and 2012. The full study population included 49,160 men aged between 40 and 75 years of age. What they show is that, among the men who exercised vigorously and regularly over the course of a 26-year-long follow-up. 6,411/49,160 (13.0 percent) developed prostate cancers of all risk levels. 888/49,160 (1.8 percent) developed lethal forms of prostate cancer. There were no significant associations between total physical activity and overall risk for prostate cancer of all risk levels. 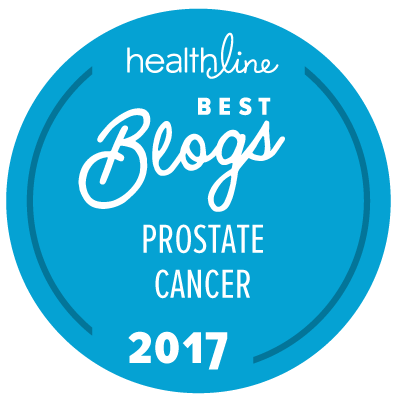 This association was independent of prostate cancer screening history. Men in this group who were in the top exercise quintile were significantly less likely to be ERG-positive (HR = 0.71). There was no significant association between exercise level and risk for ERG-negative disease. Some readers may also be aware of the newly released guidelines related to recommended exercise levels for Americans (see here) that include the idea that adults should be carrying out at least 75 minutes of vigorous aerobic exercise (such as running), at least 150 minutes of moderate aerobic activity (such as brisk walking), or some combination of the two every single week. The guidelines also note that health benefits tend to accumulate as physical activity level increases — so adults who can get 300 or more minutes of exercise per week (i.e., 45 minutes a day) should do so. Thus, if Penar et al. are correct, all men who meet the new guidelines for regular weekly exercise would be cutting their risk for advanced prostate cancer by 30 percent and their risk for lethal prostate cancer by 25 percent. They would also be getting a lot of other health benefits too. Of course persuading the average American male to take that level of exercise on a regular basis over 25 or more years may be something of a challenge.